Senior Labradors would sleep most of the time and they would like to sit around all day in the house. You need a diet offering a low calorie and high fibre content which supports a healthy weight and good digestive health in them. 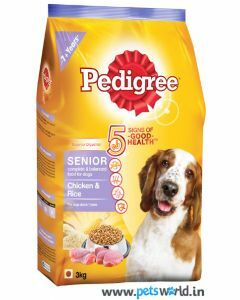 To keep your elderly Labradors in good physical shape, we at PetsWorld have in our stock some of the nutritionally fulfilling diets from famous brands like Royal Canin, Pedigree, Fidele, Orijen etc. 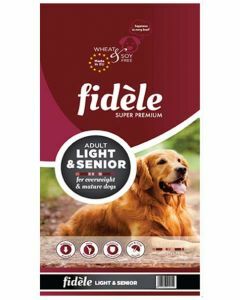 Fidele Light and Senior Adult Food is a diet that contains top quality ingredients providing a rich protein content for sustaining good muscle mass and strength in elderly labs. It also has L-Carnitine, which metabolises excess fat deposits in the body, thus keeping an ideal body weight. A balanced proportion of Omega 3 and Omega 6 fatty acids reduce inflammation in the senior Labradors. 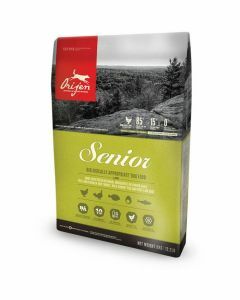 Orijen Senior Dog Food is one of the best diets you can give to your ageing Labradors as it has a low glycemic index which ensures a healthy body weight in them. The highly palatable deboned chicken and turkey are bound to make your Labradors drool. 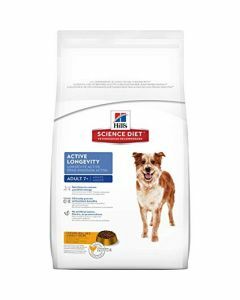 This diet makes your dog thrive according to their evolutionary and biological needs.